The court has extended the detention period for former President Lee Myung-bak until April 10 for further investigation into corruption allegations against him. 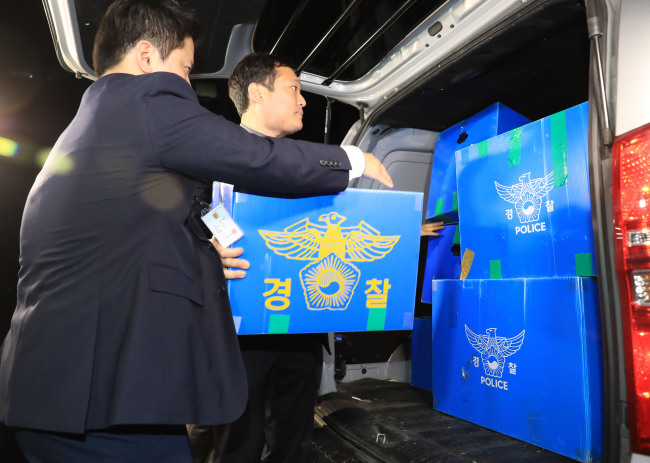 The Seoul Central District Prosecutors’ Office said on Friday that the court has approved the extension by 10 days as more time was needed to indict him. Under the law on criminal procedure, a suspect can be kept in custody for a maximum of 20 days through an extension of the detention period by up to 10 days upon the court’s approval. The former president’s case is expected to be sent to the court for trial just before April 10. Lee, who served as president from 2008 to early 2013, was detained last Friday on charges of bribery, embezzlement and tax evasion, among others. He has, however, refused to be questioned by the prosecutors since, claiming his case is being handled unfairly. Prosecutors are expected to try again to interrogate Lee at the Seoul Eastern Detention Center next week, although he is unlikely to change his position. Lee’s lawyers have said there was no point in extending Lee’s detention because he will continue to refuse meeting with the prosecutors while in custody. Prosecutors handling the case said the detention of the suspect is necessary not just for questioning but also for gathering more evidence and investigating others involved in Lee’s alleged crimes. The former president is accused of taking more than 11 billion won ($10.2 million) in bribes from businesses and the state spy agency, embezzling some 35 billion won from DAS, an auto parts manufacturer, to run slush funds, and evading related taxes. Other charges include abuse of power, breach of trust, illegally stashing presidential documents and a violation of election law. The prosecution is also considering grilling Lee’s wife Kim Yoon-ok over suspicions of bribery. If they decide to question her, they plan to do it without informing the press.